A Gazprom source told the business daily Kommersant that buying gas in Turkmenistan at the current contract price leads to direct losses for the Russian company. At the beginning of 2016, Russia stopped purchasing gas from Turkmenistan after long and unsuccessful negotiations to lower the price. According to experts, such a step may be associated not only with the losses of Gazprom under the Turkmen contract, but an attempt to convince Ashgabat to establish military cooperation with Moscow. In the middle of 2015, Gazprom filed a lawsuit with the Stockholm arbitration court against Turkmengaz, requesting a renegotiation of their existing contract. Thus, Gazprom fully adheres to the same strategy as during the previous sharp decline in oil prices in late 2008. At that time, the company, which annually purchased more than 40 billion cubic meters from Turkmenistan, said that the price and volume of gas in the contract should be revised due to changes in economic conditions. After Ashgabat did not comply with the request, Gazprom unilaterally reduced gas extraction. The strategy proved successful at the time – being deprived of a significant part of revenue from gas exports, Turkmenistan agreed to reduce both the volume and price in a new contract. 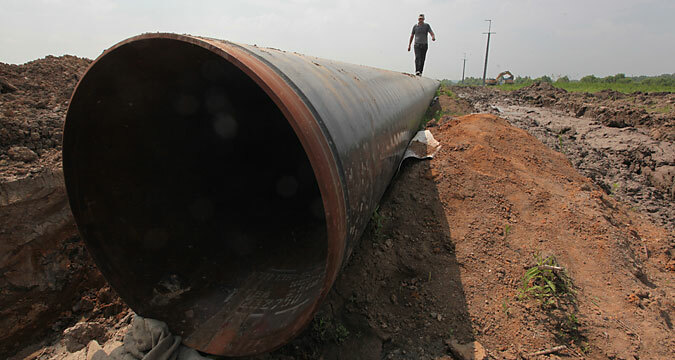 However, according to Arkady Dubnov, an expert on Central Asia, Gazprom's rigid attitude might be politically motivated. The monopoly stopped gas purchases at the same time that Russia is making persistent proposals of military assistance to Turkmenistan. “Given the growing threats from the territory of Afghanistan, it is important for Moscow to involve Ashgabat in more active military cooperation and, on the whole, to bring it into the orbit of Russia,” Dubnov told Kommersant. The confirmation of this interpretation may be a recent interview, which Alexander Sternik, director of the Foreign Ministry's department concerning the CIS countries, gave to Interfax. “As for Turkmenistan, our partners assume that the situation on their part of the border with Afghanistan is reliably controlled,” Sternik said. “Most of Afghanistan's neighbors, including Central Asian countries, nevertheless, prefer a concerted effort, attracting time-tested partners who have no other agenda except to ensure stability in the region. Russia is one of them. In any case, Ashgabat can be sure about the readiness of its friends to assist it, without any political reservations or hidden intentions,” Sternik added.